Providing you the best range of acrylic base repair bonding agent and latex base repair bonding agent tuffcreate sbr with effective & timely delivery. Backed by our years of industry experience, we are betrothed in presenting an excellent quality of Acrylic Base Repair Bonding Agent. At our unit, our professionals manufacture the agent by adhering to industry norms. They also make sure to use quality materials and approved components for manufacturing the agent. Once the agent is ready for operation, our engineers ensure by opting strict quality checks so that the agent offers reliability and high performance to the clients. Furthermore, clients can opt for custom design and compact design according to business requirements. 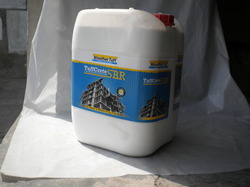 Gives complete adhesion with old-new structures of concrete & mortar. Flexural & tensile strength increased with anti corrosion property. Reduces water-cement ratio, which results in to a impermeable concrete. The area to be coated must be clean and free from oil, Grease & other contaminates. Remove loose materials by scraping, chipping, mechanical abrasion or any other suitable method. Clean surface with water. Bond Coat: Take 1 part TUFFCRETE- MAB by wt.& 1part cement. Mix it in one vessel & apply by brush on cleaned, pre wetted surface. Allow it to dry for 1-2 hrs. Modified Mortar: Take 50 kg cement bag, 125 kg medium sand, 7.5 kg TUFFF CRETE-MAB & water 8 to 10 kg as required. Apply this material over tacky bond coat. 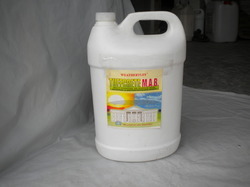 Waterproofing Slurry: Take 1 part TUFFCRETE- MAB by wt. & 2 part fresh cement with continuous mixing. Add powder in to liquid part never add liquid in to the cement. Apply this slurry on the cleaned, prevented surface in 2 coats at the interval of at least 3-4 hrs between each coat. This polymer modified system is effectively useful for. Give additional strength to damaged R.C.C structure. Repairs of concrete structures. Brick-masonry and mortar works. 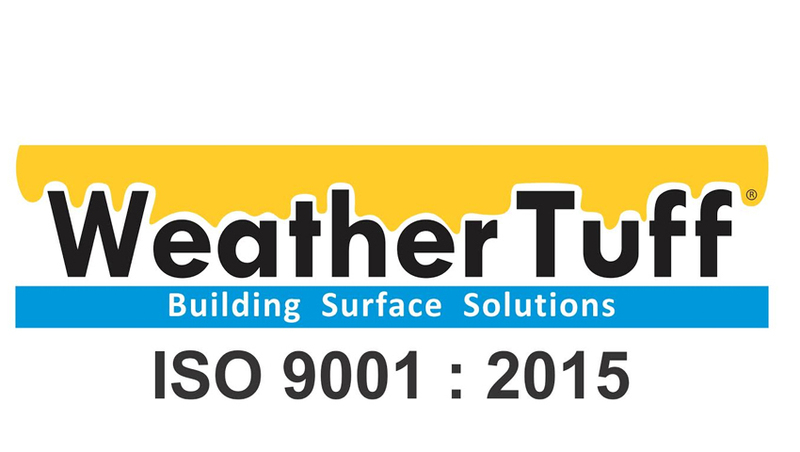 Waterproofing treatment of water tank, swimming pools etc. Roof Slab, Parapets, terraces, basement & Retaining walls. Against corrosion & salt attack. After 24 hours of final coat, Sprinkle the water or cover wet cloth for next 3 days. Continuous wet curing or podding is not required. With an aim to fulfill varied requirements of our valued clients, we are engaged in offering Latex Base Repair Bonding Agent Tuffcreate SBR. The offered agent is developed in accordance to industry norms and quality parameters. In the offered agent, our professionals use the approved material during the manufacturing process. In addition, this agent can be built and developed according to the specification provided by the clients. Furthermore, our professionals opt for strict quality inspection made on the agent to ensure high performance.